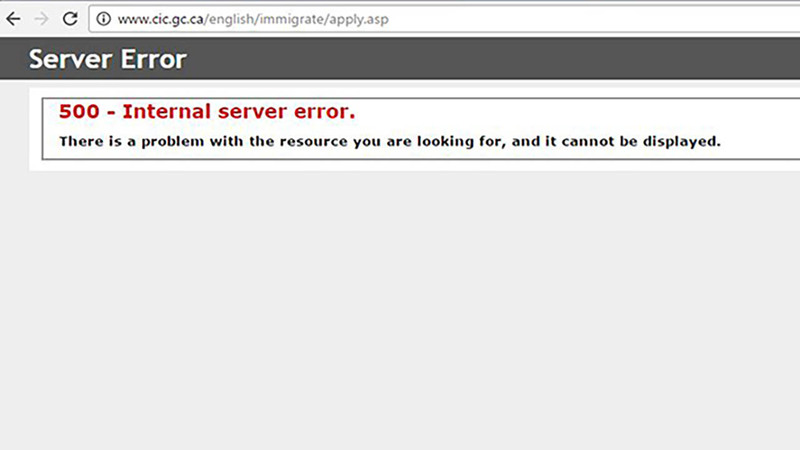 Canada's immigration and citizenship website crashed on Election Night. The website with instructions on how to become a Canadian citizen crashed Tuesday night as Donald Trump appeared to close in on a victory. Visitors were met with a long wait and eventually an error message telling viewers that there was a problem with the server. There was no official word from the Canadian government about the outage. Some pages on the site worked, while others crashed, users reported. Get all the latest Election Day 2016 stories from ABC7 and follow the action on the ABC News Live Election Day Blog.